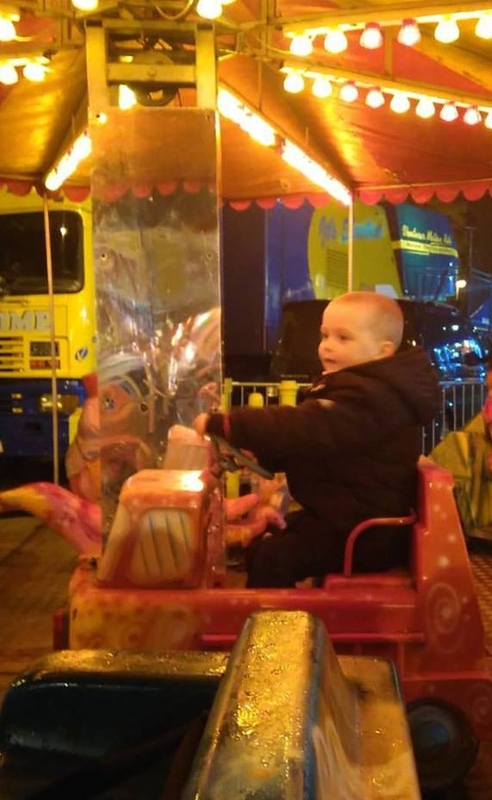 took liam to see some fireworks and also to have fun at the funfair last night. gates opened at 6pm and because we was near the front he got on the rides first but first ride didn’t go as it planed. some prat was behind the fence thinking it would be funny to set fireworks off aka rockets and point them at the funfair. 2 rockets nearly hit the ride liam and the children where on and some of the parents took there children off the ride after it happened (didn’t happen again). after that ride liam wanted to ride on a train but sadly that didn’t happen because it broke down and some mums and dads were peed off because it cost them £2 (they didn’t get there money back). took liam onto a bouncy castle slide and i found the male staff member rude. then liam’s time was up he got hold of liam’s arm and said NO when he was about to go back onto the side (£2 for him to side down 4 times). hmmm i think a family was also having ago at the slide guy but i do not no what about. on a different ride one of the staff wanted me to pay £4 and i didn’t understand why but i gave her £2 and she didn’t look to happy about it (it was a £2 ride). the fireworks where ok but not what i thought they would be but liam enjoyed them. was £3 to get in and liam got in free because the staff thought he was under 3 after i said one adult and one 4 year old. hmmm liam had lots of fun but i do not think i will take him again.